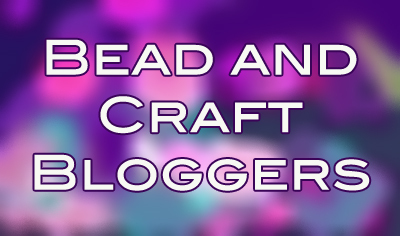 I'm always blown away by the talent of the Bead and Craft Bloggers group! Each of them uses their creativity and enthusiasm to create really amazing things! Even when experiments don't work out, you can see them growing and developing as artists. Awareness can take many forms. 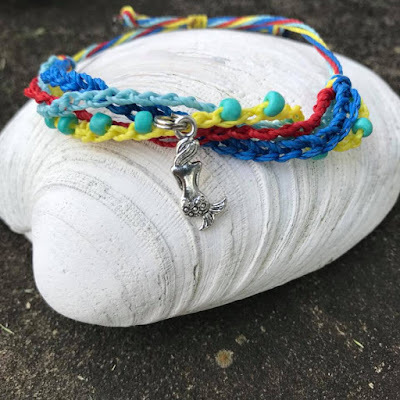 In this post, TappingflamingoBling shows off her surfer style with these autism awareness bracelets! 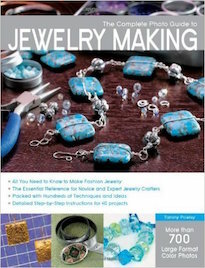 The best part is that a portion of the sales will benefit a nonprofit that supports autism awareness. When I mention the word, "Russian" in certain circles, it can start a tizzy of heated conversations and political debates. Luckily this post has nothing to do with THAT. 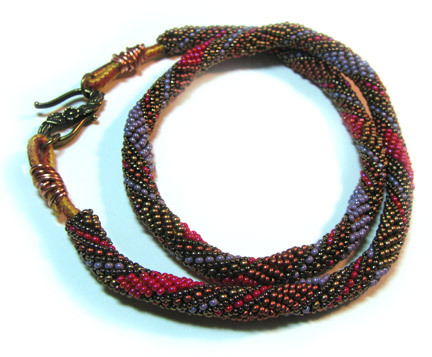 Cyndi shares her fondness for the Russian Spiral rope that she learned from Carol Ohl's article in Beadwork magazine. 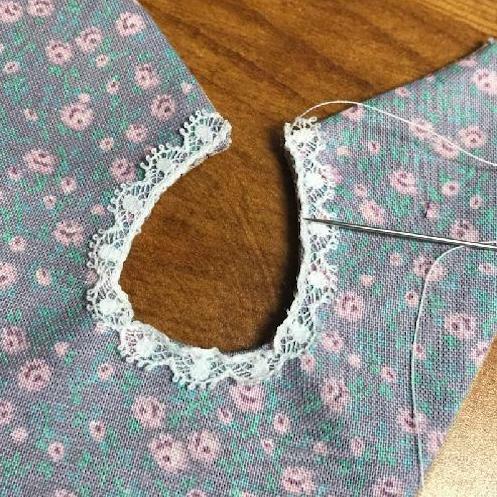 Tammy shares a tiny Blythe Doll dress and discusses the importance of adding details, especially when working on such a small scale. 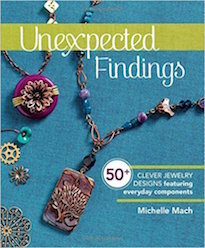 Design kits can be a fun way to push you out of your comfort zone and propel your creativity forward. In this blog, Ann shows what she made with the Wild Jungle kit from Allegory Gallery. Venturing to Galena, Illinois, Sarajo attended the annual Adornments Retreat. 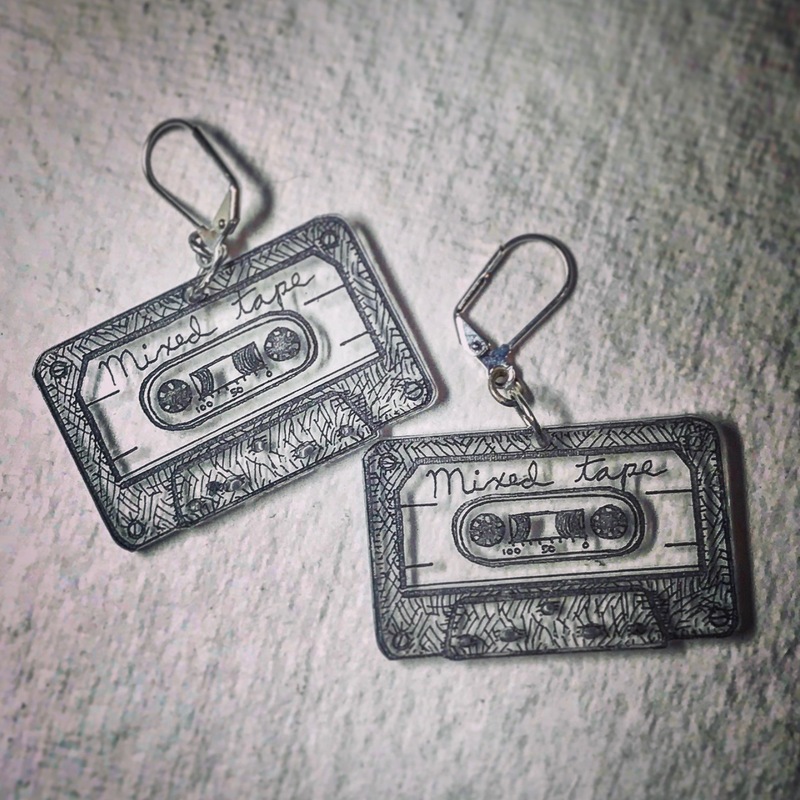 Learn more about this mixed media jewelry experience here! Allegory Gallery is constantly getting things in! 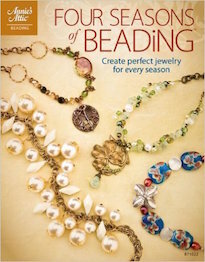 Want to see what's new at this local bead store in Ligonier, PA? Each month, the Inspired by Reading Book Club has a new selection. 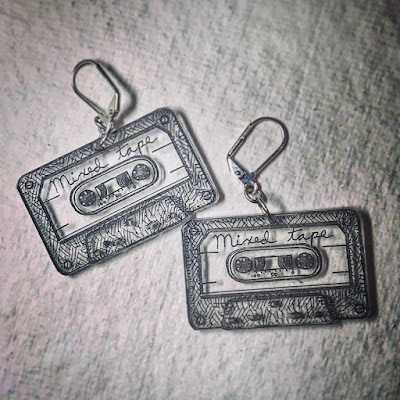 After the book is read, members are encouraged to make something inspired by what they read! 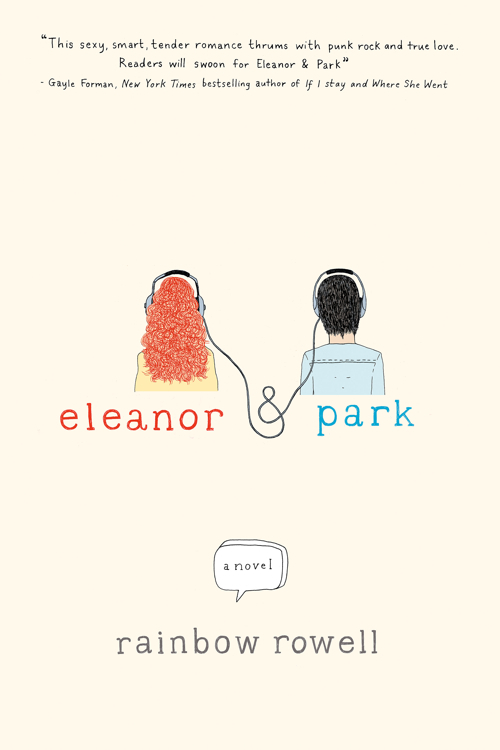 See what Andrew created with Rainbow Rowell's book, "Eleanor & Park" as inspiration! 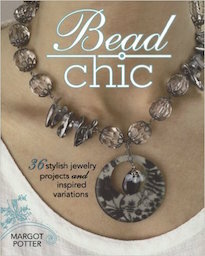 It has been a busy week for the Bead and Craft Bloggers! There's a wonderful array of different projects, experiments, experiences, kits, challenges, tutorials, and all kinds of creative goodness! Breathing new life into components, Ann and her mom experiment with adding surface treatments using Vintaj Patinas and old papers with Mod Podge. Sometimes you find something that speaks directly to your heart and you know it's the things you've been waiting for your entire life... and sometimes you don't. Tammy talks about how she thought she'd be a Blythe doll customizer, but realized it was just not meant to be. 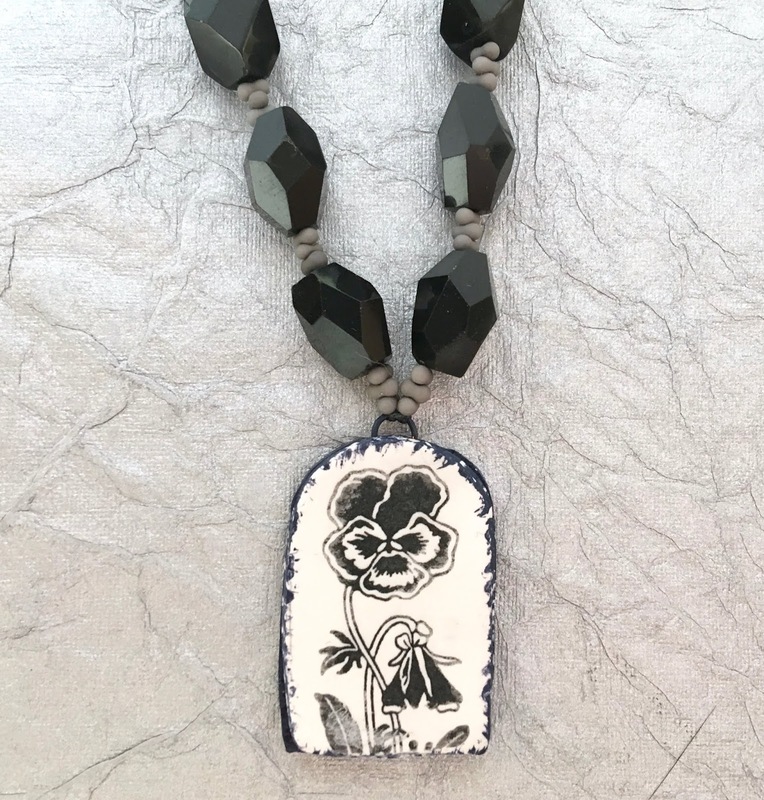 Cyndi has used Nora Toth's design from Bead&Button magazine to create a bead-woven flower pendant using dagger beads and put her own spin on the pattern. The road to monetizing your passion can always have unexpected challenges. 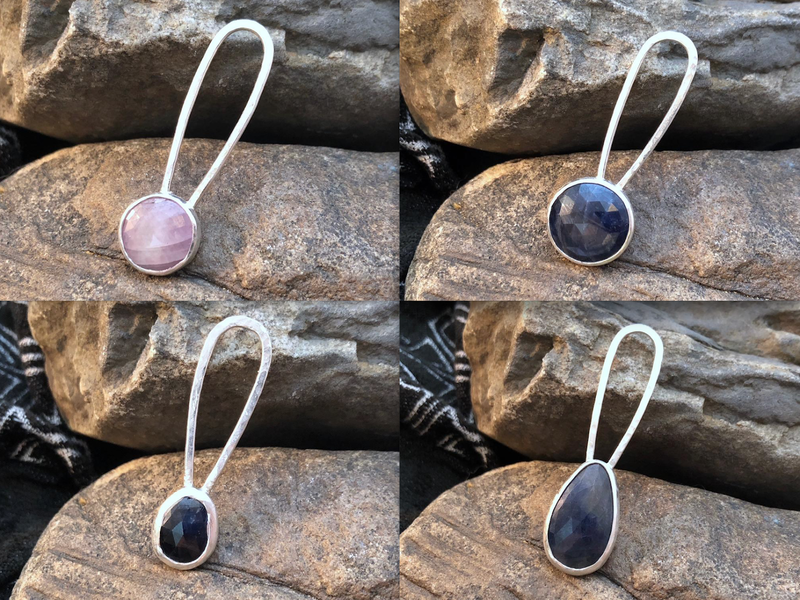 Terry discusses her journey with her Etsy shop and questions whether she should keep it going or give it up! Allegory Gallery launches their new kit, Coral Coast. Inspired by sun-kissed beaches and warm days spent beachcombing by the water, the new design challenge incorporates shades of peachy coral, pinkish reds, and creamy ivory. Sarajo teams up with her husband each month to create a new Honey Do List challenge. Eric shares a photo and she creates something based off it. July is a flutter of activity with a beautiful crow photo as inspiration. In this post, I share some of my creepy crawly bug-inspired art beads from my private collection. There are so many social media platforms, aren't there? I find myself gravitating towards Instagram more and more these days. It's such a visual platform and while I enjoy staying informed about politics and current events, I find myself getting overwhelmed on Facebook and exhausted by all the divisiveness. Even people that I agree with can be a little TOO MUCH for me at times. I know the importance of being "woke" nowadays, but do I really need to be on a rollercoaster of rage and despair all day? Nope! It literally makes me want to curl up into a ball and hide in a dark room at times. 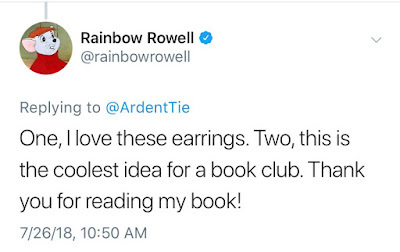 I don't like to feel like that and find that it's counterproductive to me actually doing something about the problems that I see in the world. It might be different for others, and that's perfectly fine. But for me, I have to be more mindful of what I consume. The other thing that I appreciate about Instagram is that there aren't memes making fun of people or graphic posts about animal cruelty. (At least not the people I currently follow.) It wasn't a conscious decision, but I find myself hanging out more on Instagram for my own mental well-being. I still spend a considerable amount of time over on Facebook and a little on Twitter, but I can feel myself mentally disengaging and not interacting as much. In any event, I try to keep the content fresh on each platform. Sometimes there's crossover, but I try not to do that too much. And if you haven't noticed, I'm trying my best to blog again and get back into a regular routine. It's a work in progress. I forgot just how much time I used to spend on my blog. 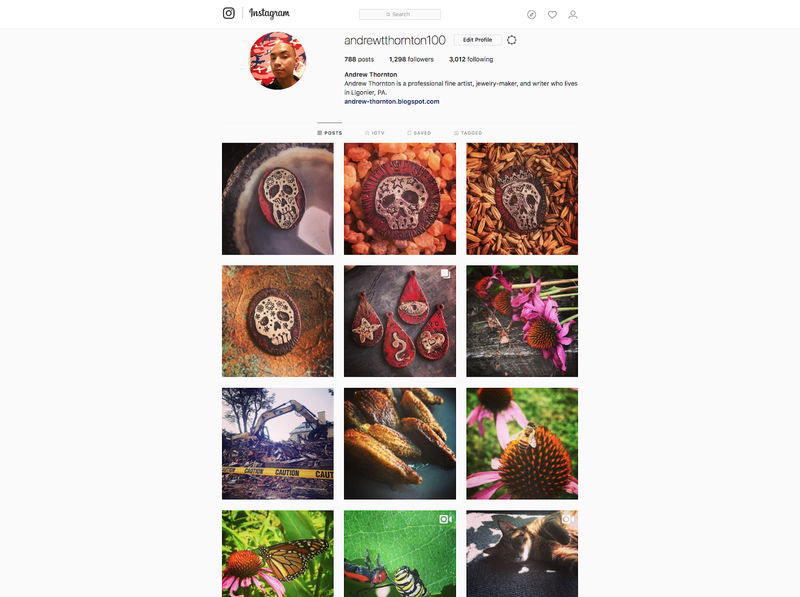 One of the benefits of the other social media platforms is how easy and instantaneous posting can be (for better or worse). 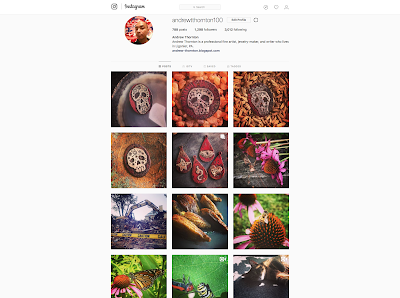 If you'd like to see what I've got cooking over on Instagram, CLICK HERE. 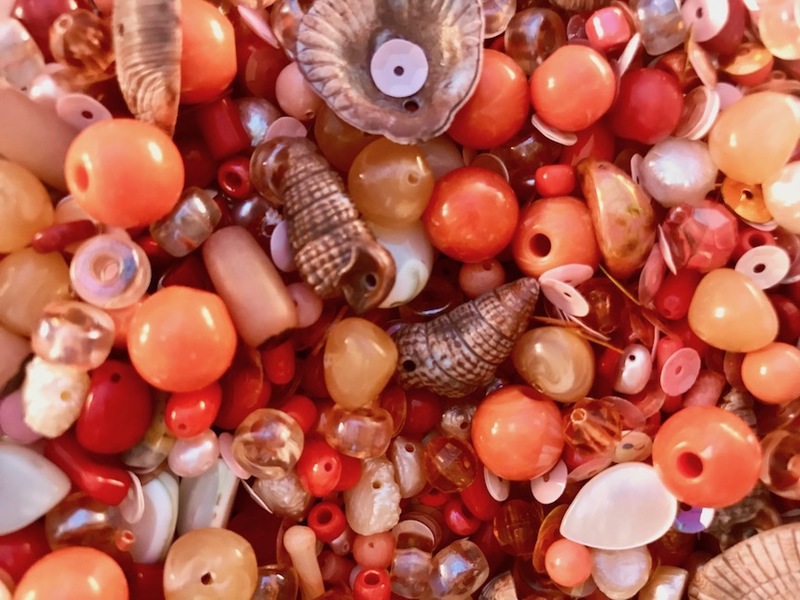 Over the years, I've amassed quite the collection of art beads and jewelry components. I thought it might be fun to start up a series of blog posts that take a peek into my private collection. But where to start? After so many years of serious collecting, the prospect of diving in and documenting all my treasures is a little daunting. I decided to start off small. One might say, small as a bug! It's summer and that means it's prime time for our tiny bug friends. During the day, when I'm out in the garden, I'll see caterpillars inching along, beetles scuttling about, and butterflies drunkenly dipping from flower to flower. In the early evenings, the twilight is punctuated with the glow of fireflies. 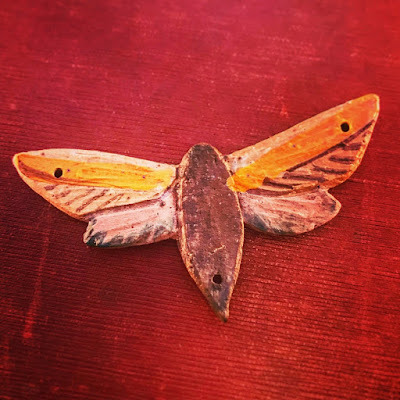 And if you're quiet, you can hear the hushed thudding beat of moth wings against the porch light, crickets playing their chirping leg violins, and the electric trilling and buzz of cicadas. 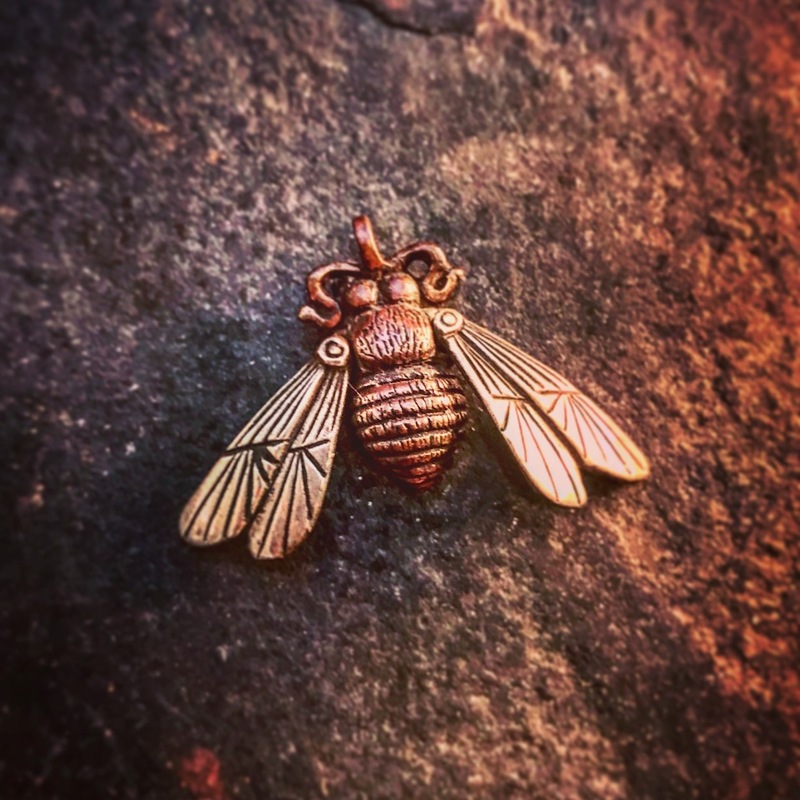 So why not start with a sampling of art beads inspired by the insect world? 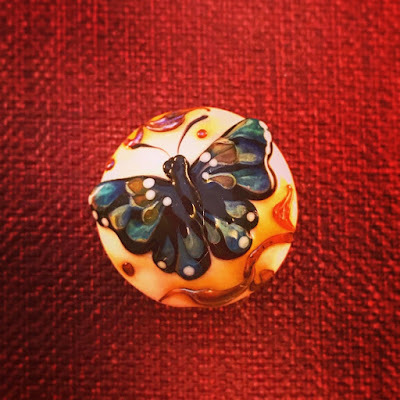 This sterling silver barrel bead was created by Atlanta-based metalsmith, Anne Choi. I love pieces so much! 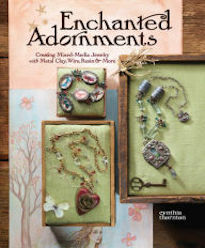 They're inspired by little snatches of literature and poetry or motifs she discovered through her background in antiques and folklore. I think that Portland-based artist, Wendy Wallin Malinow, originally intended this to be a holiday ornament, but this laser-cut and printed wooden pendant is too nice not to admire all year long. 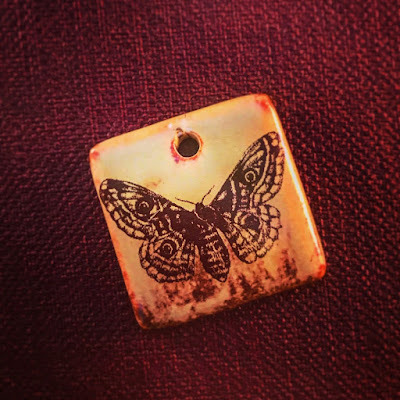 Pittsburgh-based artist, Gina Chalfant of White Swan Illuminations, uses ceramic decals that she's drawn herself to adorn this honey-colored ceramic pendant. When Gina isn't using her decals, she also creates hand-glazed vases and tableware based off Medieval and antiquarian inspirations. Bob Burkett, located in California, has inspired a generation of metalsmiths. 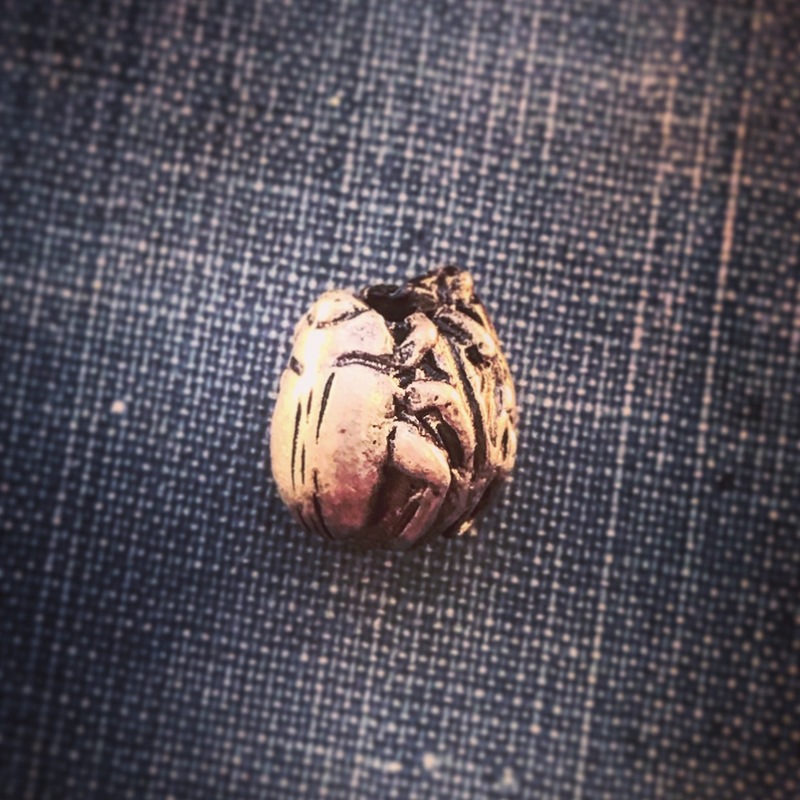 This double scarab bead is made out of cast sterling silver. You can see the influence of the swirling arabesques of Art Nouveau on his work. 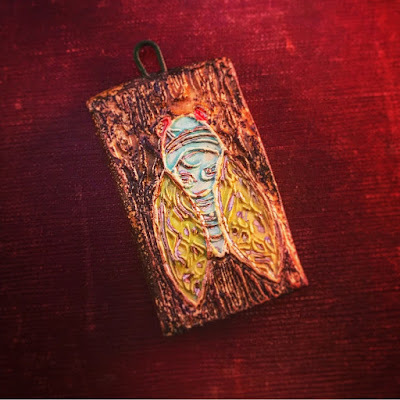 Intrigued by fantasy, folktales, and mythic arts, Delaware-based artist Jenny Davies-Reazor, uses nature to fuel her ceramic and mixed media creations. This moth pendant is made of ceramic and is embellished with lovely, satiny matte glazes. Artwork and nature play a big role in the work of Heather Powers of Humble Beads. 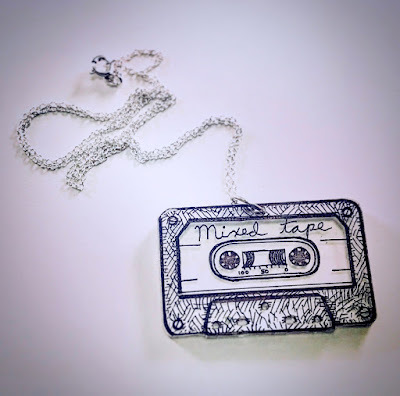 This author and artist uses polymer clay and mixed media jewelry making techniques to express her unique interpretations. This cicada pendant was crafted out of polymer clay. Canada-based artist, Kerri Fuhr, uses molten glass, heated with the flame of a torch, to make beads like this butterfly one. To capture this painterly style, she mixes sculpture and drawing techniques. Do you like moving things? 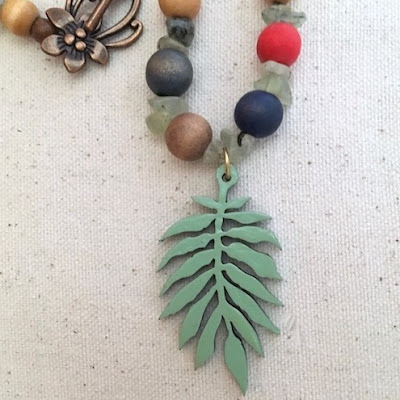 This mixed metal pendant by Albuquerque-based artisan LeaAnne Hartman Edwards is articulated! The body is made out of a metal alloy called shibuichi, which is a mix of copper and silver. 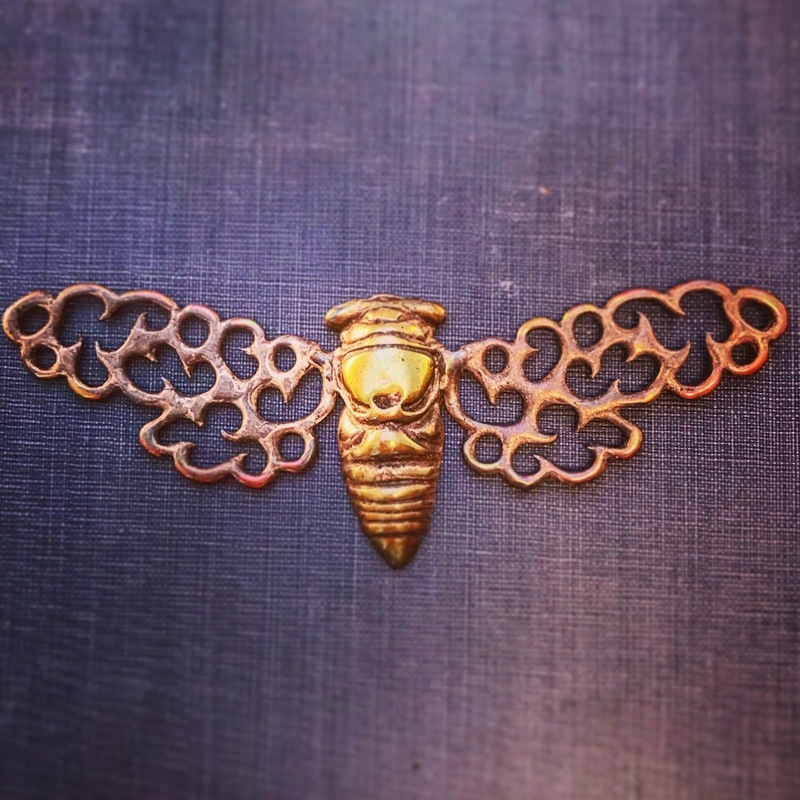 The wings are made of cast sterling silver. 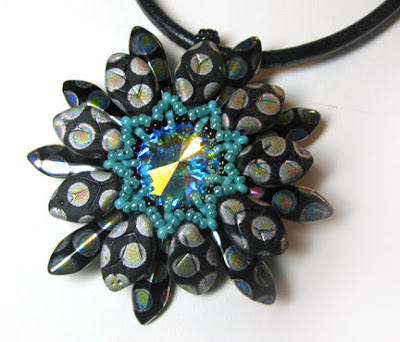 You can usually find LeaAnne's work through Maureen Henriques of Pumpkin Hill Beads. 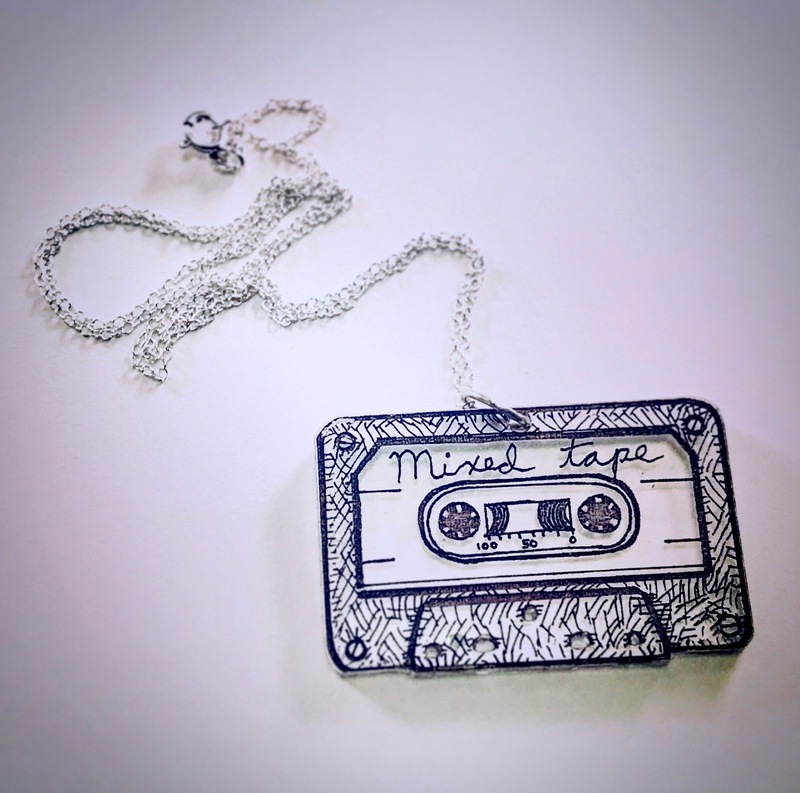 Hailing from Detroit, artist Diane Hawkey utilizes her unique aesthetic and artistic sensibilities to transform ceramic clay into little works of art. 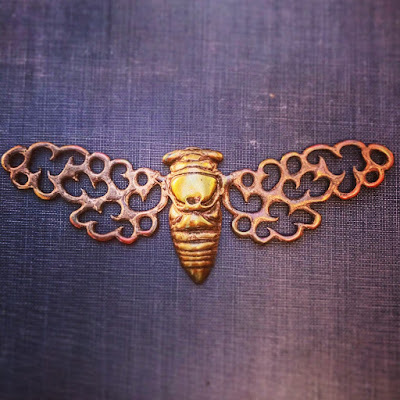 This cicada pendant is an example of her mastery of the medium. 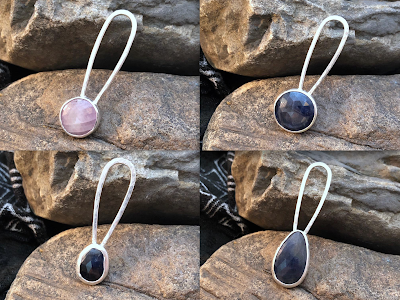 Speaking of shibuichi, this elaborate focal pendant was made by my brother, Dwayne Thornton, out of this unique material. Shibuichi, depending on how it is treated, can take on deep cherry reds, nutty browns, steely grays, or rainbowy silvers. 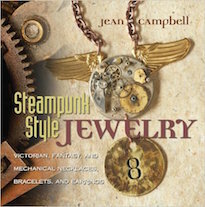 He doesn't make jewelry components much these days, but every now and then he'll make new work. Weren't these fun? I hope you enjoyed this little glimpse into collection! 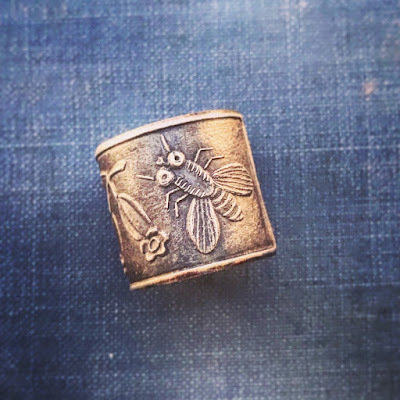 Do you have a favorite art bead maker who creates bug-inspired work? 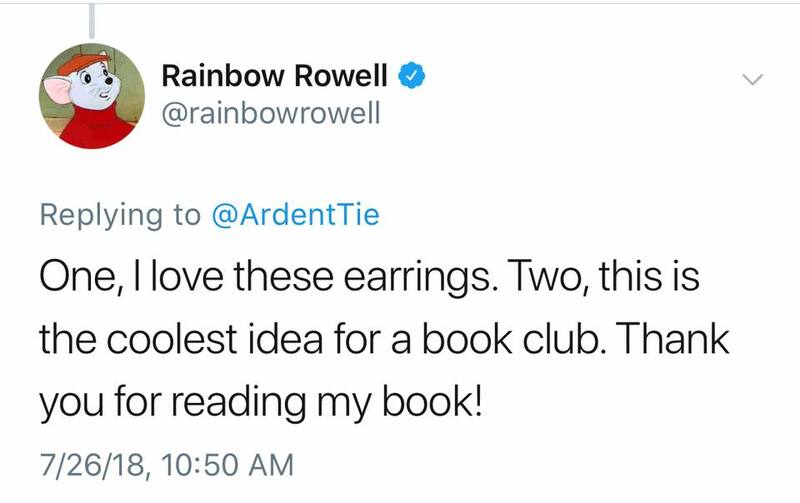 I'd love to hear! This is just the first of many posts highlighting some of my favorites from my collection and scratches the surface of the hoard. 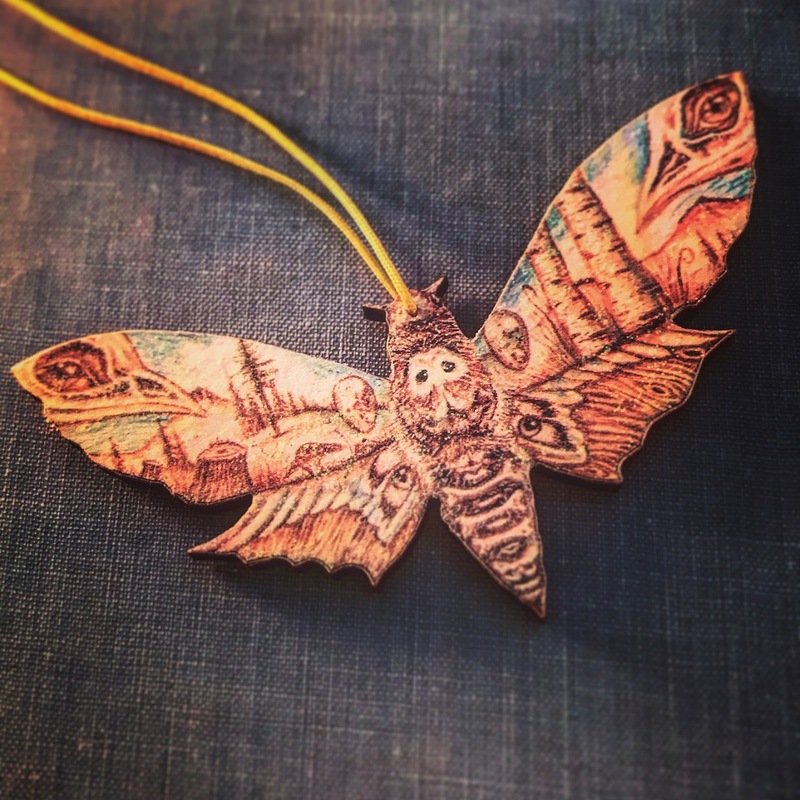 I plan to add more curated selections as time goes on, exploring different themes, mediums, and techniques. My mom and my grandma used to quilt, so reading how the Crafty Princess picked up quilting brought back all kinds of memories. 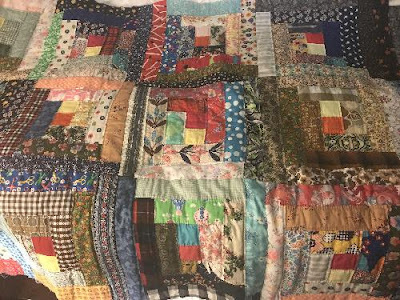 In this blog post, Tammy discusses the process of picking up an unfinished quilt that her grandmother started many year ago. 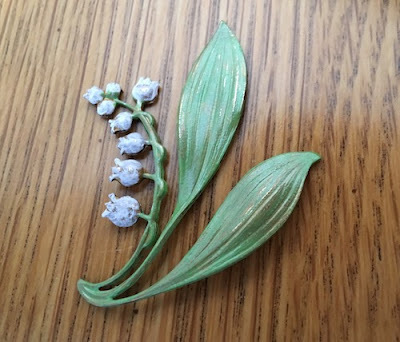 The blog post also includes a short video, describing her hopes of completing this piece of family history. Using a collection of art bead components from Jenny Davies-Reazor and SagaHus Components, Ann creates an elegant necklace in black and white. 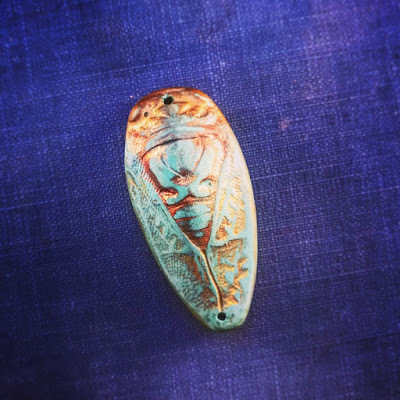 Inspired by Pantone's Pink Lavender, Cyndi shares a tutorial on how to create this bead embroidered button pendant. Such lovely, soft colors! Hearts aren't just a symbol for love! 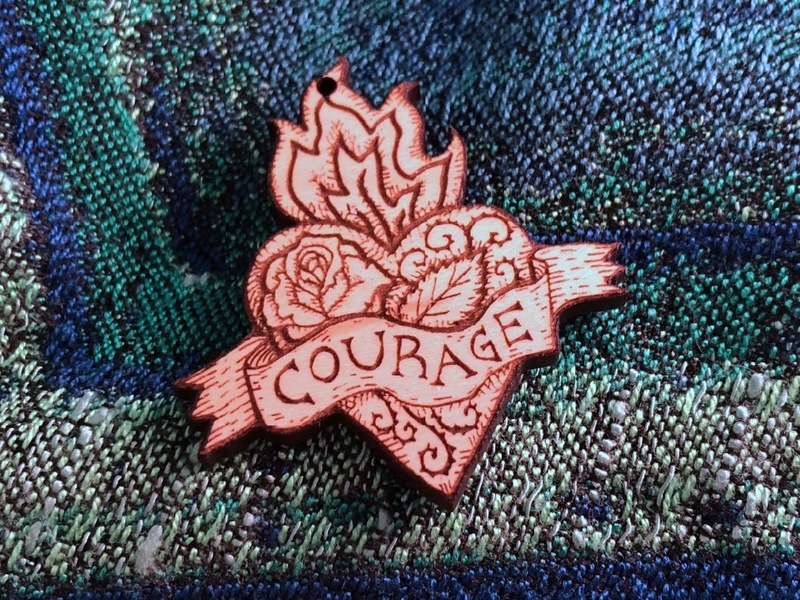 Allegory Gallery debuts their new heart-themed laser-engraved wooden pendants! 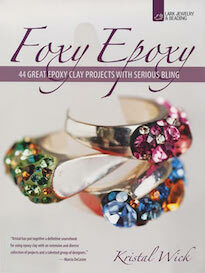 You could use them as they are, or embellish them with paints or pigments. 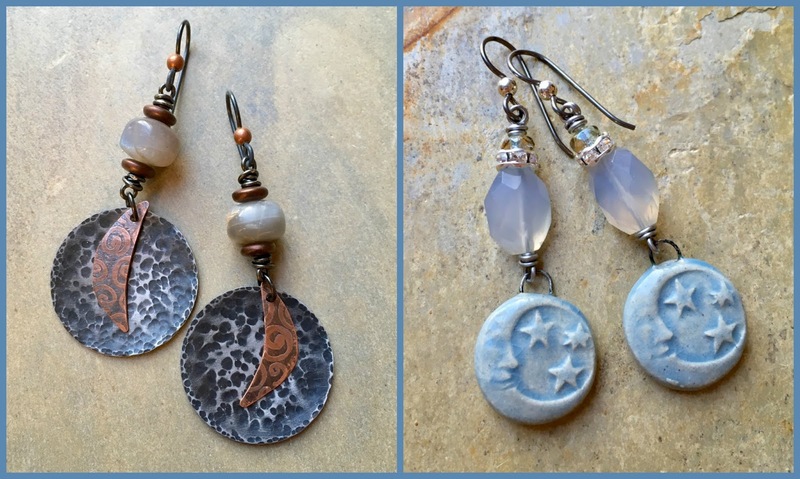 Seizing upon the Artisans Create Together monthly challenge for July, Sarajo gets her celestial groove on with an array of art bead laden earrings, bracelets, and necklaces! 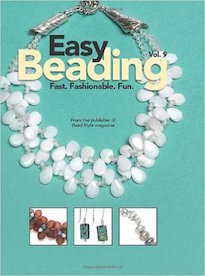 While many local bead stores are closing or are in decline, this one isn't! 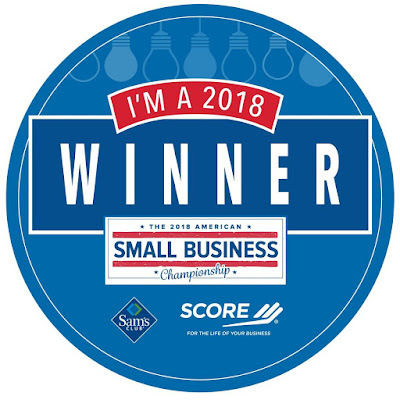 In this post, I describe our experience as one of the winners of SCORE's 2018 American Small Business Championship. And just like that, we're done. The characters were counted. The form was filled out. The button was pushed. And now there's no more that can be added or changed. 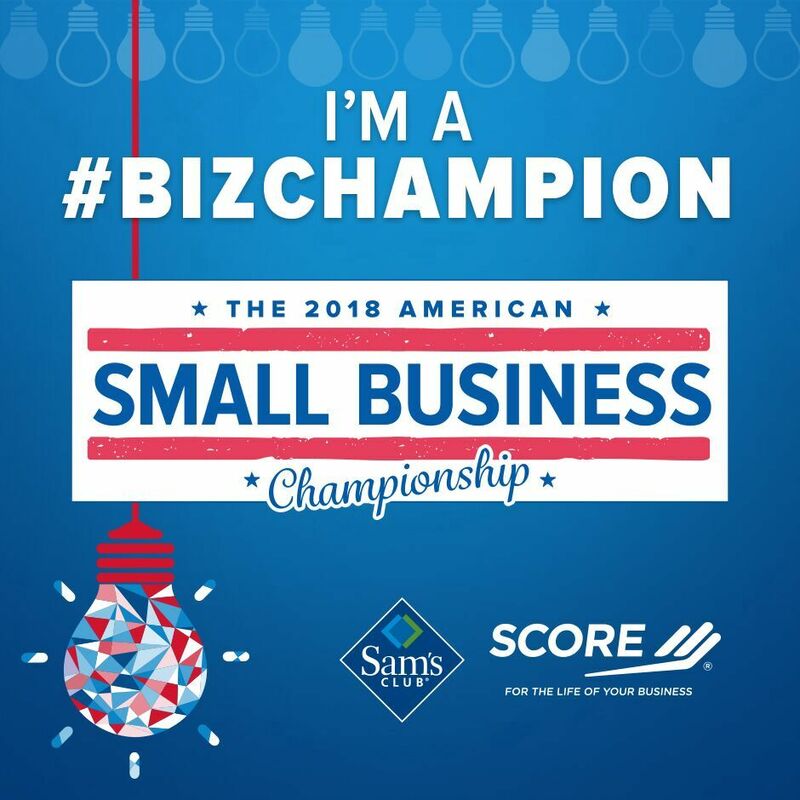 This part of the American Small Business Championship has come to an end. After an adventure out west to Reno, where we met some amazing people and heard empowering, educational, and encouraging speakers and small business experts, and months of work implementing those ideas... we're done. It's hard to fit all those many days and all those many hours into 1000 characters. It's hard to summarize all the time and energy we've spent evaluating our business and trying to make it better. It's hard to wrap our minds around what an incredible experience this has been and convey it. 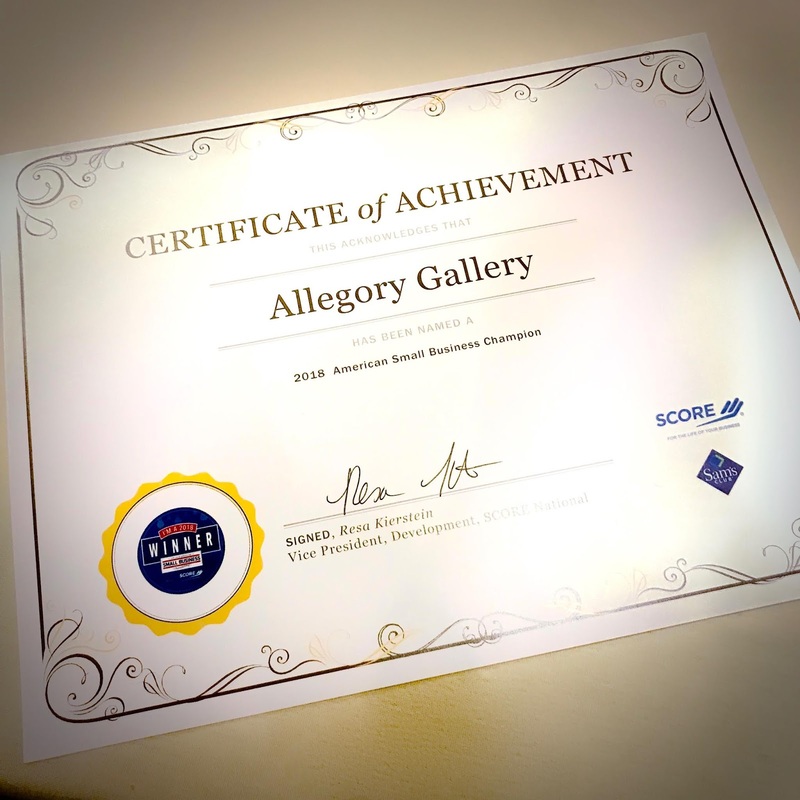 When William and I decided to put Allegory Gallery forward for consideration for SCORE Mentors's American Small Business Championship, we were just coming off of a near win with another national small business competition. We were semi-finalists and had put so much into the contest and when we found out that we didn't win, we were crestfallen. 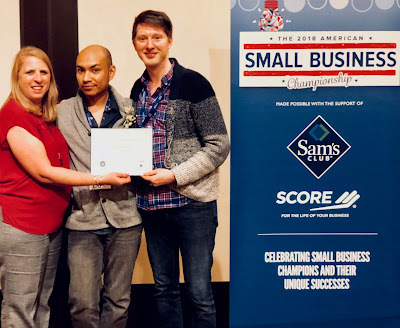 Of course, we were happy for the winner, but so many of our customers and supporters had believed in us and put forth so much time and energy into helping us get to the finish line and when we just barely missed the mark, we felt like we had let down our friends and customers. So we were apprehensive about jumping back into another competition. One of the things that I tell people often is that you never get anywhere, unless you try. You might not always succeed and the path might be very different from what you excepted, but you'll never make manifest your dreams by waiting for someone else to turn them into a reality. You've got to want it. You've got to push forward. And sometimes... if you're patient and the circumstances coalesce just right, you'll be successful. But, first, you must try. Resa Kierstein, Andrew Thornton, and William Jones. We did try and with the support almost 7,000 votes, we advanced in the championship. Out of thousands of applicants, we were one of the 102 entries that moved forward (and out of Pennsylvania, we were one out of three). We became #bizchampions and joined a family of fellow dreamers and doers from across the country. This would not have been possible without YOU! You got us here. With your loyal support and encouragement, you helped us get where we are today. And for that I will forever be grateful. THANK YOU! THANK YOU! THANK YOU! I think that this is an incredible distinction! Despite the odds, we're thriving. We didn't have much money to start with, but little by little we've grown the business and set down roots in the community. William and I are an openly gay couple in a tiny town in rural Southwestern Pennsylvania. The population of our town is 1,500 people! Going by numbers and popular misconceptions, we shouldn't be here. This is particularly true in an uncertain economic time for local bead stores and brick and mortar stores like ours; so many of them are going out of business. The fact that we're still here and growing steadily is cause for celebration in itself. 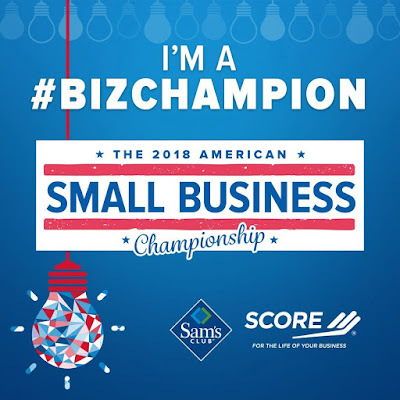 What sets the American Small Business Championship apart from other competitions is SCORE. 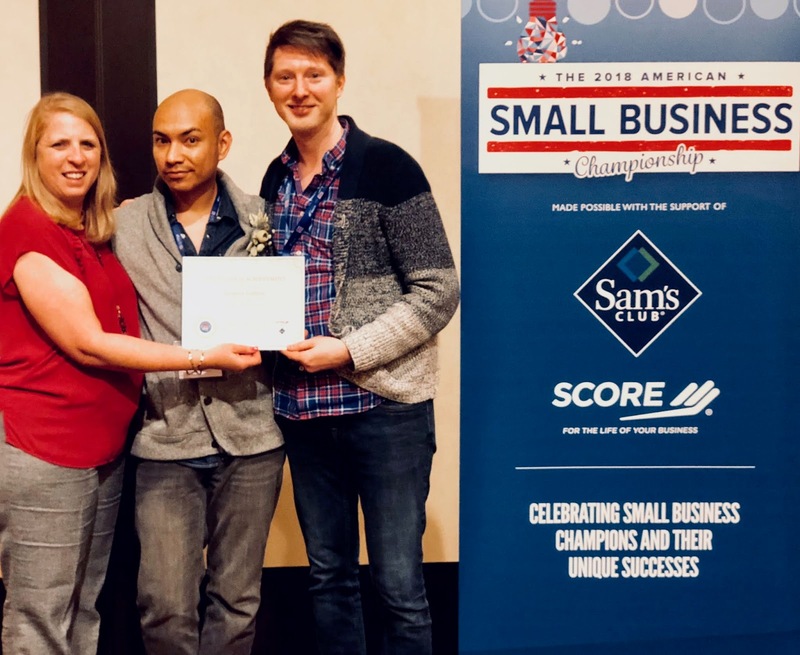 This competition sponsored by the generosity of Sam's Club is not so much about creating one winner, but empowering and encouraging 102 different small businesses. SCORE is dedicated to mentoring entrepreneurs to achieve their dreams, strengthen the economy, and better society. 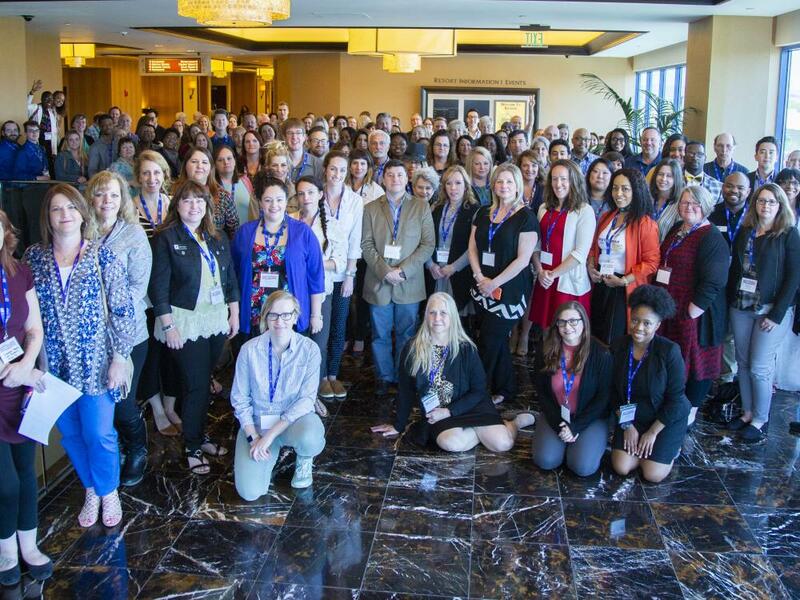 It's true that there are three Grand Prizes and there's a monetary reward for those winners, but this challenge also incorporated training and networking. "Training" and "Networking" are two words that describe what took place in Reno, but they're not good enough. How could they be? 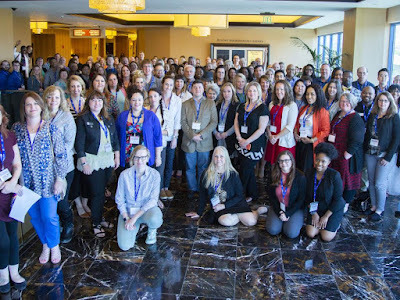 We were trained to refine our vision, be happier, be more successful, connect better to our customers and supporters, push ourselves creatively to be the best we can be, and how to turn obstacles into opportunities. 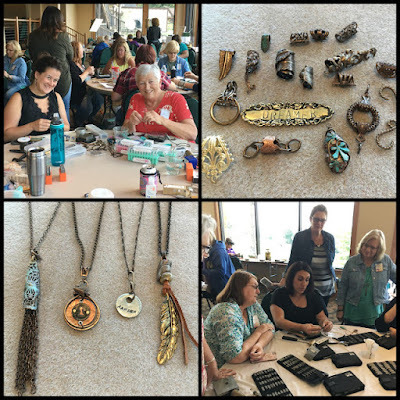 Networking sounds so clinical, but we met other business owners who moved us with their stories, intrigued us with their products/services, and inspired us. We didn't just meet other small business owners, we made lifelong friendships. In the short time that we've known each other, we've cried together, we've laughed together, we've celebrated together. We've been tech support for one another, collaborated together, bounced ideas off each other, and provided recommendations and sales. So... it's so much more than just merely "training" and "networking". Ron Cates, Betsey Dougert, Rieva Lesonsky, Giselle Chapman. Over the past few months, we've worked hard to implement those ideas that we gained. It has inspired us to attend other SCORE events like webinars and local chapter events. We are fortunate to have a SCORE Mentors chapter (555) so close! We've evaluated our business on a financial level, a structural level, a community level, and dare I say it... a spiritual level. We are lucky to share the path with the other champions, as they've been a constant source of guidance and encouragement. Each day I'll see positive motivational quotes from multiple people. As I look back over the experience, I'm filled with a sense of possibility. With the other competitions we were in, there was such a feeling of finality. That this is where it stops. This is the winner and the rest of you are not. 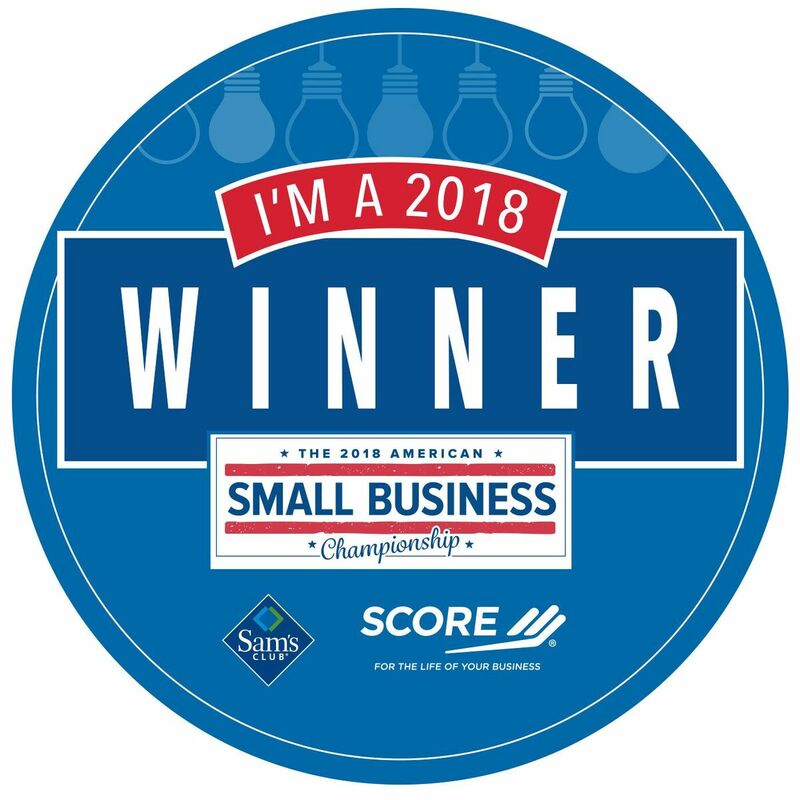 But with SCORE Mentors's American Small Business Championship, it feels as though we're all winners. I know that might sound cliche, but really, what we've learned and the people we've met will impact the rest of our lives. Reno skies full of possibility. While we'd be over the moon to advance to the Grand Prize round, we're happy with the gifts that we've received already. It would be wonderful and change our lives, don't get me wrong, but I feel as though if you listen to the lessons and be mindful about implementation, and we maintain our peer group, then the experience will easily have a tenfold return, far more valuable. I know that I feel more enriched by the experience. All of us have done our best, crossed our fingers, and now it's up to the judges to award the Grand Champions. I don't envy their jobs! I've come to know several of the other #bizchampions and they are strong, kind, brave, clever, creative, talented, hard working, tenacious, resilient, ambitious, and courageous. Their businesses are no less remarkable. Each of them has worked hard to envision a problem and seek to address it in their own way. To our fellow #bizchampions, we wish you good luck and continued friendship! And... once again... to our customers, family, friends, supporters, SCORE Mentors, and Sam's Club who have made this experience possible, THANK YOU! I try to start each day off with pulling a card. Sometimes I'll pull two if I need further clarification. Sometimes I'll do a full spread if I'm really perplexed. I find that the cards are helpful in providing guidance and allowing me to gain perspective. 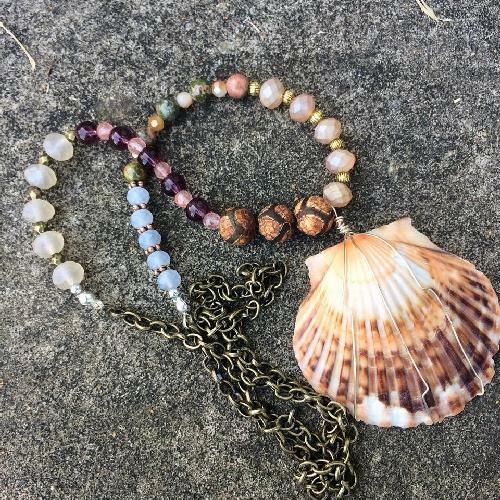 I believe that each of us carries with us the fingerprint of the Divine, that we are all connected and if we listen with our hearts, we can hear the hidden message. While we can feel isolated, stranded in our individuality, science tells us that we are all connected on a sub-atomic level. I'm not going to pretend to be an expert in Quantum Theory, but there's the String Theory that says that the building blocks of the Universe is made up of tiny string particles and waves and that those fibers are woven together and we are all connected through a concept that Albert Einstein called quantum entanglement. 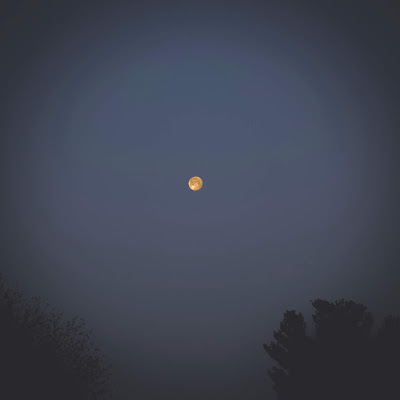 We are connected to our neighbors and loved ones, we are connected to strangers, we are connected to the cosmic movements of the heavens... because there is an unconditional bond that binds us on an infinitesimal scale. If we are connected to the Universe or God or the Divine, or whatever you want to call It, why can't we be conduits to the messages? Whether you believe in all that, I find that the practice of pulling a card helpful for me. 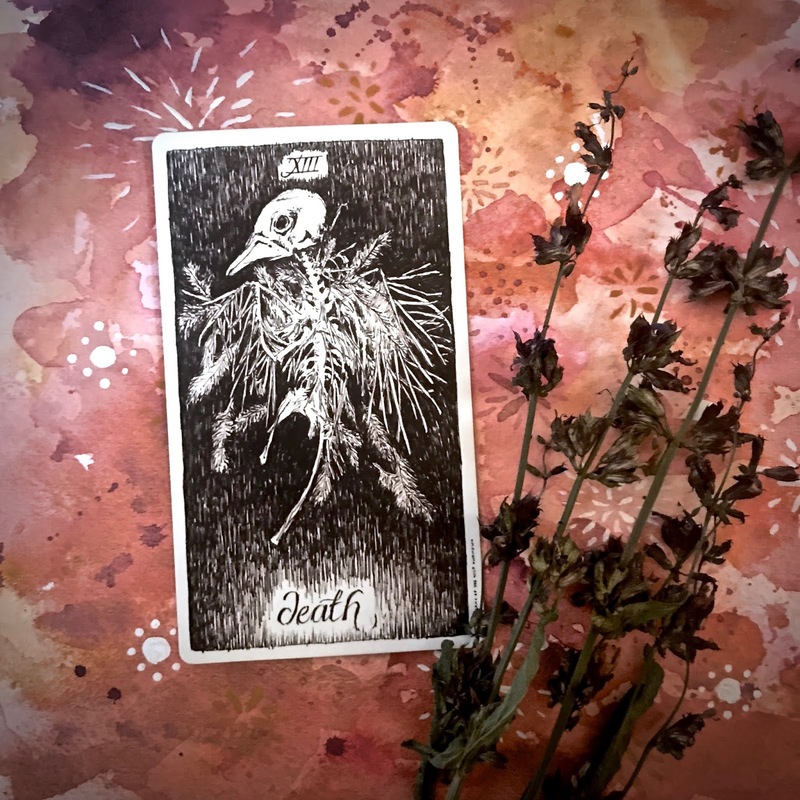 This morning, I pulled the Death Card. I use the Wild Unknown deck designed and created by Kim Krans. In this deck, the illustration depicts a desiccated bird. While it can be scary at first to pull this card, I think Kim does a great job at outlining that it's not necessarily a bad thing. It signifies closure and an ending. It can be sad when things end, but once that chapter is closed, a new one can start. Life is miraculous like that. When one thing ends, another begins... and there's a beauty of transformation. I think that when you're in tune with the message, our life can be filled with omens or signs. This is can be dangerous, because sometimes people can lose themselves in these portents and allow them to give power to their anxieties and apprehensions. They stop seeing it as guidance and see it as edict. When we live in fear, we surrender to it and become slaves to it. So, it's important to remember that while the world is full of symbols and signs, that we must acknowledge the beauty of our own paths and that those paths are designed maybe by the Divine or our own cause and effect relationship with the Universe to educate, inform, and enlighten our spirits. Simply put: Listen and learn. After I drew the Death Card, part of me was reflecting on what it could mean. I was searching my heart for a deeper meaning. Since it's blueberry season, every morning, before it gets too hot, I go out to pick them. When I go out on walks and have a question in my heart, I ask that I see a sign. Sometimes it is a lightning strike of information and sometimes it's subtle. Today, it was the former. As I approached the blueberry bush with my bowl, I saw something bundled at the base of the tree. 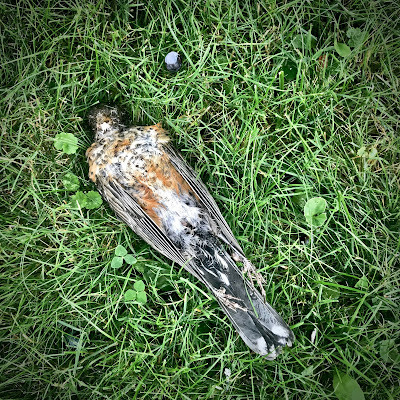 And there was a dead wood thrush. 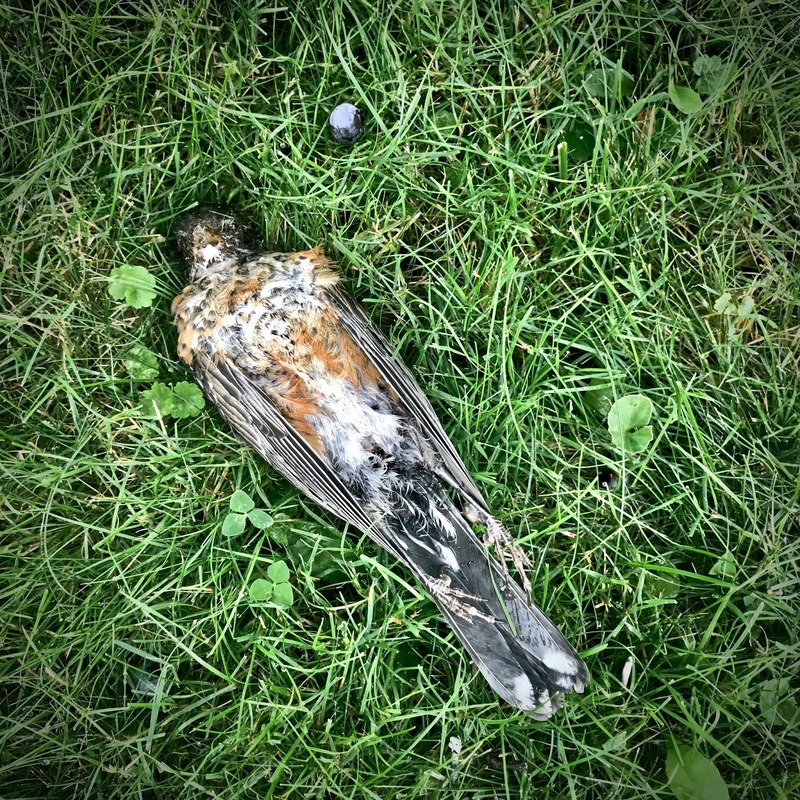 On the surface, it doesn't have any great symbolism; there are cats that prowl the neighborhood and the blueberry bush is a powerful draw to the local birds. When you combine cats and birds, you can guess the end result. But, having just asked for a sign and having just pulled the Death Card, I knew the meaning. I looked up the symbolism of the wood thrush for confirmation and further illumination. 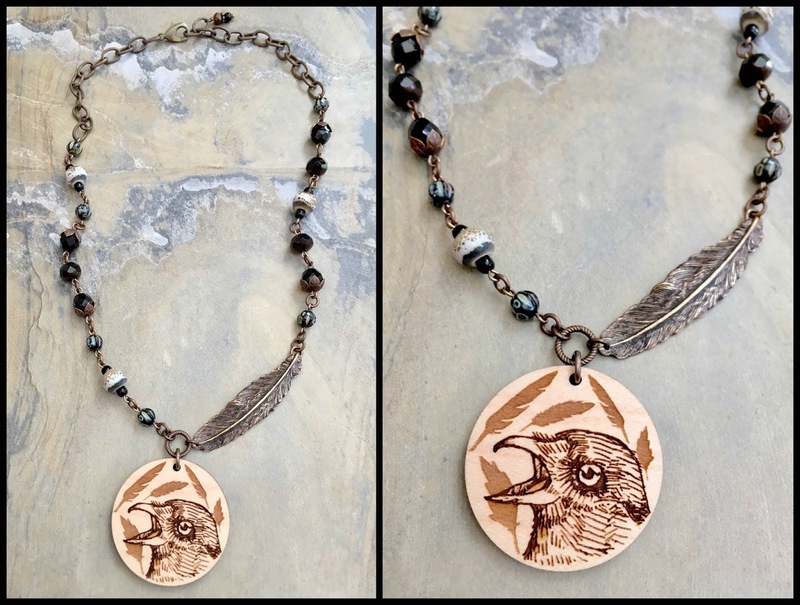 According to the SunSigns website, the wood thrush is a "symbol of solid, healthy relationships. It happily appears in our lives to signify that we are engaging in a long-term relationship that will never break down at any cost." Without going into too much detail, because they're not really important to this conversation, I recently had a falling out with a friend of over 15 years. I've actually known this person closer to 20. I was shaken by our conflict. The interaction hurt me. I was sad by the way things were handled and how things were left. But... I also think it's important to surround yourself with positive people, who recognize and appreciate you for who you are. And if our friendship was not good enough to agree to disagree, then perhaps it is best that it ended. This morning I pulled a card. This morning I asked for a sign. And the message was received. I'm lucky to live in a place with low light pollution. On clear nights, when I stand out in the dark and look up, the sky glitters with thousands of stars. You can see swathes of cosmic dust, dotted with the glow of planets, and the moon seems so close you can almost touch it if you stand on your very tippy toes and just reach a little higher. When I look up into the night sky, I'm filled with a sense of awe. It never gets old. The sky seems so vast and immense and there's a sense that it is endless. Science tells us that the Universe is expanding, even as massive and incomprehensible as it is... it is still growing. It would be easy to feel insignificant faced with such immensity. But science has also revealed the hidden secrets that shows us how we are a mirror for the cosmos. Within each of us are chemical reactions, cellular activity, and infinitesimal atomic activity that mimics the movements of the heavens. 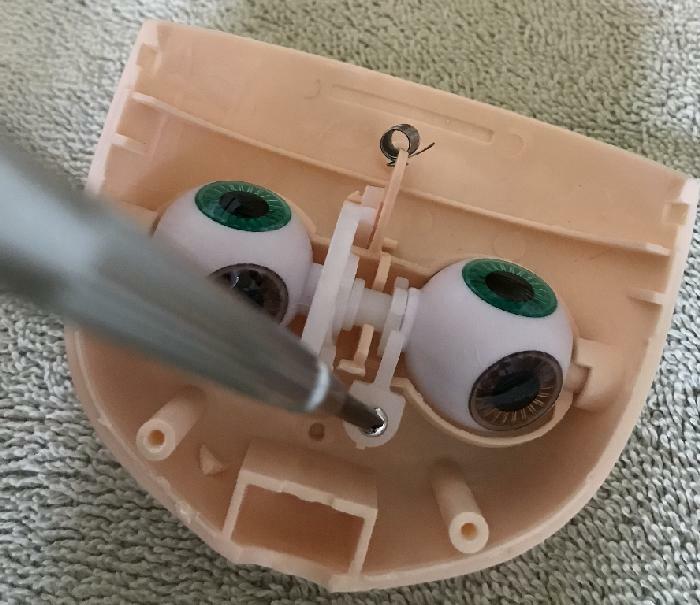 The micro mirrors the macro. Carl Sagan said that we are all made of "star stuff" and recent scientific discovery confirms that. (If you're interested in finding out more, look up Sloan Digital Sky Survey and their work with APOGEE.) We are children of the stars and descendants of the night and connected to that ever-growing vastness. Sometimes in life, you will meet people who will try to make you feel small. They will try to reduce you down to your parts and make you fit comfortably into the role they have designated for you. Don't listen to them. They will try to diminish you. They will try to shrink you, marginalize you, and break you down. Do not let them. These people do it for all sorts of reasons. There are some who are raised on power, suckled on privilege and entitlement. They've been glutted with self-importance and have greedily been consumed with filling themselves up with power at any costs and will go to any corrupt lengths to obtain it. There is a flaw in them, where they cannot see others, but only see themselves and their hunger for more. But I honestly have not met many of these people. In my experience, the people that try to belittle others are people who were once made to feel small themselves. They've been abused, disenfranchised, and systematically oppressed. They try to find their own self-worth by making others feel less worthy. They feel that they are bigger if others feel smaller. This is the curse of trauma. Trauma is passed from one person to the next. In a perfect world, there would be no trauma. Sadly, this is not the case. We like to imagine that those who pass the curses down are strangers, that they could not hurt us if they knew us. But often times that's not the case. Sometimes a parent or a friend or a spouse can inflict their own control dramas on you. It's easy to get caught up in their tragedies and reenactments of the violence inflicted upon them. This is a cycle as old as civilization. The truth is... we are powerless to change them. This truth is inconvenient. Hurting those who hurt you is not empowerment. It's punishment. It's vengeance. It's trading one person making others feel small for another. "You made me feel small. Now I'm going to make you feel small." I'm reminded of a story from Hinduism, where young Krishna has been reported to eat dirt. Upon investigation, his mother looks in his mouth and sees the whole Universe. I am not Hindu, but I have always found beauty in it and we have proven scientifically now that indeed, if one looks within, they can see a mirror for the Universe. When you know that you are a child of the stars and hold within you the vastness of the Universe, you do not need the approval of another. You do not need to be validated. You do not need to feel bigger than someone else, because you already contain within you, in the very building blocks of your being, the map of an ever-expanding Universe... and no one can make you feel small, because you are infinite. You are made of star stuff. You are an entity of possibilities and potential. You are a force of nature. In knowing this, you must also recognize that those around you are also children of the stars. They too are forces of nature. They too are vehicles of endless potential and possibility. And when you see this in them, it changes the way you see them. To revisit Hinduism, there is a greeting that we're all too familiar with nowadays. In Pop Culture, it's often the brunt of jokes and there's a very funny article online called, "Surviving Whole Foods". The word is, "Namaste." While we can make light of it, there's actually a very beautiful meaning. It means, "I bow to the divine in you." Recognizing the divine in another allows you to come to terms that you cannot change them. They are on their own path. You are on yours. Leaving aside spirituality, we are all on the same journey. Each step forward is a step towards our eventual deaths. It's shocking, I know. But it is eventual. It is undeniable. Our bodies, that star stuff, will return to the Earth and the very fibers of our being will again, rejoin the Universe. So... what do we do with this information? Embrace your heritage as a child of the stars and a being of infinite possibilities. The Divine rests within each of you. I am reminded of the much disputed Gospel of Thomas of the Gnostic Texts. One translation reads, "If those who lead you say to you: 'Look, the kingdom is in the sky!' then the birds of the sky will precede you. If they say to you: 'It is in the sea,' then the fishes will precede you. Rather, the kingdom is inside of you and outside of you." "When you come to know yourselves, then you will be known, and you will realize that you are the children of the the living Father." What I take away from this text is that when we realize and actualize that we are children of the Universe, we have the power to make manifest the world around us in word and deed. If we speak our truth and tell our stories, we will give those stories power. If we speak of love, we will be of love and manifest love. I am reminded of the word "abracadabra" and what it means. The etymology is debatable, but in Hebrew it's thought to mean, "I will create as I speak". In Aramaic, "I create like the word". If you're familiar with the practice of magic, you know that this is the fundamental basis. Shape your will, speak it with words, and manifest it into being. You are a conduit of the Universe, weaving the energy and giving the words life. It is a drawing down of power that ignites with the catalyst of our energy and intent. The same can be said of prayer. As a creative person, I see this every day. The process of making art is taking an abstract thought, filtering that through our heads, moving it through our hearts, and using our hands to make it manifest. For storytellers, these thoughts are coalesced into words, words that inspire images in others. They are a living thing, that when fed and nurtured will grow. Our minds are a garden of growing things and it's up to us, to tend those gardens and be guardians of those divine sparks. Our bodies are made of star stuff. Our minds are a collection of stars, a garden of light. And we have the power to be tools of the Divine and shape the world around us. When I am feeling lost, I look up at the stars and I pray. I am reminded that I am a child of the Universe and am a mirror, a conduit, a maker, a manifester, a keeper of the light, an entity of endless potential and possibilities. When we would visit Pennsylvania for trade shows, I noticed the brightly colored decorations on the barns. I love folk art and was intrigued by the iconography. When we moved here, I became even more curious and remember asking an older local what they meant. I was told, "Oh, that's so the barn don't burn." Apparently they are Pennsylvania Dutch Hex Symbols and different symbols represent different petitions. They are basically painted prayers. As an artist who infuses my work with mindful intention, this is really interesting to me. Now that I'm aware of them, I see them all over. They're tucked in the eaves of churches and barns and there was even one hanging in our kitchen when we bought the house. It's fascinating to me. What I find particularly interesting is that it's not exclusively "pagan" or "Christian". It seems like a lovely swirl of beliefs and traditions that have been passed down in the region. I like when things cross boundaries and blur the lines. What's perhaps not discussed as much are the beliefs attached to the hex symbols. To learn more about them, the origins, the uses, and how they are used, I wanted to do a little research about Pow-Wow and Braucherei. Here's a view books on my reading list: "The Long Lost Friend" by John George Hohman, "Hex and Spellwork" by Karl Herr, "The Powow Grimoire" by Robert Phoenix, "Folk Medicine Plants Used in the Pennsylvania Dutch Country" by Paul R. Wieand, "HexCraft: Dutch Country Magick" by Silver RavenWolf, and "The Red Church or The Art of Pennsylvania German Braucherei" by C.R. Bilardi. 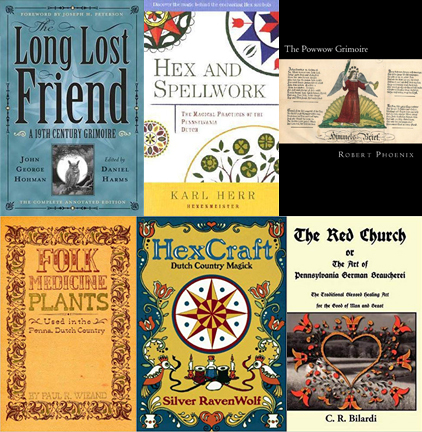 I also picked up a little book called, "Hexology: The History & the Meaning of the Hex Symbols" by Jacob Zook and Jane Zook. I'm curious to see how this will impact my own work and if these symbols will start appearing in my own work.